Oxford University will use a record donation to abolish the tuition fee increase for its poorest students - keeping fees at £3,500 per year. In a bid to remove financial barriers, eligible students will also receive funding for all their living costs. 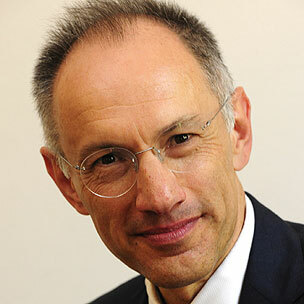 The £75m donation from Michael Moritz, originally from Cardiff, and his wife Harriet Heyman will rise to £300m with matched funding. The support package is being claimed as the biggest for a European university. At the launch of the scholarships, Oxford's vice-chancellor,Andrew Hamilton, spoke of the importance of "ensuring that all barriers - real or perceived - are removed from students' choices". University self-supporting Mr Moritz, chairman of the US-based venture capital firm, Sequoia Capital, spoke of his own family's debt to benefactors, when they had been refugees from Nazi Germany. "I would not be here today were it not for the generosity of strangers," said Mr Moritz. From his business experience in the US, he said many of the great innovators were from "the most unlikely and impossible circumstances". But their progress had been made possible by university scholarships - and he wanted to support such opportunities. The financial package will be worth about £11,000 per student per year - and will be available for students from families with an income below £16,000 per year. This will continue in perpetuity - using the investment income from the donation - in a way similar to the endowments that underpin the finances of major US universities. It also marks a UK university taking a greater step towards self-funding some students - and loosening its students' reliance on the state-funded student finance system. Under the scholarship scheme, students will only have to borrow the £3,500 per year, rather than the £9,000 which will be charged from this autumn. Professor Hamilton spoke of his concern about the deterrent effect of the debts facing students, when fees are £9,000 per year. Charlotte Anderson, currently studying German at the university, said she was the first person in her family to go to university - and that debt had been a major cultural obstacle for her family. "All they saw was a huge debt - and the stress attached to that... they couldn't see beyond it." She said that attending a summer school made her change her mind about seeing Oxford as a credible option. Reaching out Jo Dibb, head teacher of Elizabeth Garrett Anderson School in north London, said that poorer parents were often "desperate to support their children" - but couldn't support their children as easily as better-off families and were afraid of getting into debt. She said the scholarships could help "the brightest young people who slip away now". Mr Moritz, who went to school in Cardiff and attended Oxford in the 1970s, said that for families with £16,000 per year, the level of student debt represented a "terrifying figure". About one in 10 of Oxford's students are from families with an income below this threshold - and the first wave of scholarships will be awarded this autumn. The intention is that within three years half of all eligible students will receive this support package - with the later aim of rolling it out to all students from such low-income families. Earlier this week, the university admissions service, Ucas, published figures showing that applications had fallen by 8.9%, raising concerns that potential students were being deterred by the increase in fees. Last week, the Office for Fair Access published a report showing that universities were switching more of their funding into outreach projects, such as summer schools. The fair access watchdog also produced figures comparing the proportion of students eligible for full state support - with Oxford having among the lowest levels of such poorer students. The university has been investing heavily to attract students from a wider range of social backgrounds, putting £2.5m into outreach and £6.6m on bursaries. Oxford's latest announcement of such a large-scale scholarship programme will raise comparisons with leading US universities. The income from endowments allows them to offer places to the most talented, regardless of income or nationality, with means-testing then determining any level of fee. The biggest source of Harvard's operating income is its endowments, worth £24bn at present. Fees provide only about a fifth of its operating costs. Oxford's biggest source of income is external research, accounting for two-fifths of income. Professor Hamilton said the challenge for UK universities facing budget pressures was to diversify their incomes - including encouraging such philanthropy as the donation from Mr Moritz and Ms Heyman.